A lot of the information that we have on Anne Brontë and her sisters comes from the primary sources of their writing and from the many letters of Charlotte Brontë, but there is another woman we have to be extremely grateful to – Ellen Nussey. Ellen met Charlotte when they were pupils at Roe Head School and became her lifelong friend; through her frequent visits to the Brontë Parsonage in Haworth she also became friends with Anne and Emily Brontë. Her recollections of the sisters and their lives were central to Elizabeth Gaskell’s brilliant biography of Charlotte, and Ellen’s writing legacy proved invaluable to me when I was writing In Search Of Anne Brontë as well. Ellen Nussey was born on April 20th 1817 in the village of Birstall, in the wool processing area of Yorkshire’s West Riding. Her parents John and Ellen were quite wealthy, as John was a cloth merchant – then a booming trade. ‘Emily had by this time acquired a lithesome, graceful figure. She was the tallest person in the house, except her father. Her hair, which was naturally as beautiful as Charlotte’s, was in the same unbecoming tight curl and frizz, and there was the same want of complexion. She had very beautiful eyes, kind, kindling, liquid eyes; but she did not often look at you: she was too reserved. She talked very little. She and Anne were like twins – inseparable companions, and in the very closest sympathy, which never had any interruption. 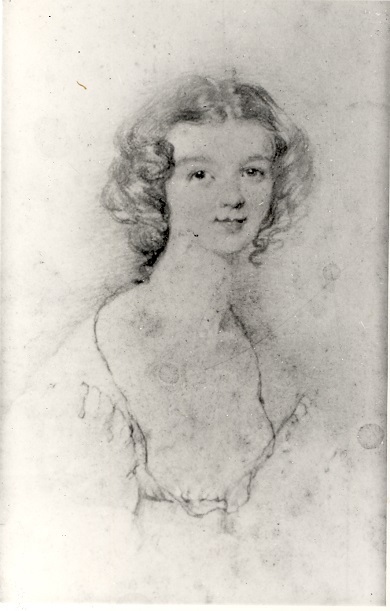 It is from this same period that we get Charlotte Brontë’s sketch of the young Ellen – a charming and pretty picture, but for the long neck that Charlotte seemed to add to everyone she drew. Perhaps the biggest testament to Ellen’s character is that Anne and Emily both became firm friends with her, an honour afforded to very few people – especially in Emily’s case. We have letters to Ellen not only from Charlotte, but from Anne and Emily too (although Emily’s letter is a short missive bemoaning the fact that she is a poor letter writer, and advising Ellen to wait for a better letter from Anne). Ellen Nussey shared a lot in common with the Brontë sisters, not only a love of books and reading. 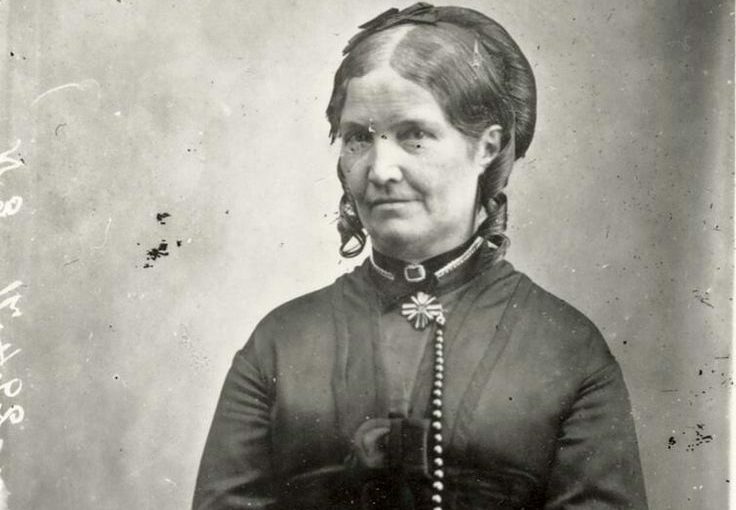 She too had lost a parent when she was young, although in Ellen’s case it was a father rather than a mother. She could also be sympathetic and understanding when it came to Branwell, as she also had a brother who was a raging alcoholic. The Nusseys were a large family, Ellen was the twelfth child, and it was a tragedy they had to bear that three of Ellen’s brothers took their own life – including Henry Nussey who in 1839 proposed to Charlotte and was rejected. Henry became vicar of Hathersage, and Charlotte’s visits to the Derbyshire village to see Ellen there would provide background material for Jane Eyre. Ellen’s closeness to the Brontes has caused particular confusion in one aspect in that a photograph once thought to be of Charlotte Brontë is in fact undoubtedly of Ellen herself. Until recently it was used as the main picture on Charlotte Bronte’s Wikipedia page, but by comparing it to known and verified pictures of Ellen we can see that it is the same woman. 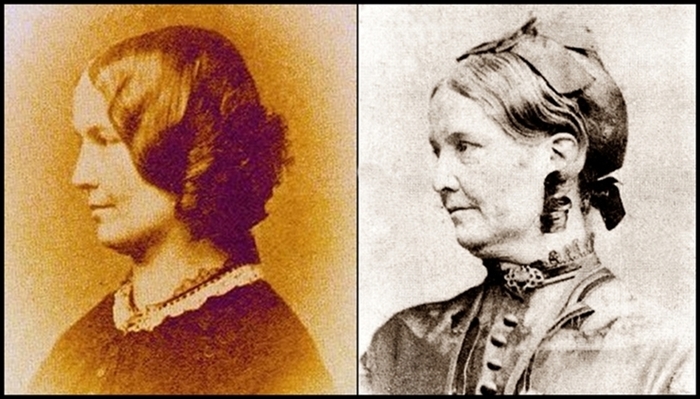 It is reproduced below with the picture once thought to be Charlotte on the left, and a picture of Ellen in later life on the left. It is Ellen’s detailed eyewitness account of Anne’s final days in York and Scarborough that provides much more information about Anne’s final days than modern day research ever can – Ellen after all knew Anne and the Brontës far better than we can ever hope to. Ellen Nussey was a kind, generous and intelligent woman who brought moments of light and happiness into the lives of all three Brontë sisters – for which we should be very thankful. She was the daily correspondent, the sender of ribbons, the giver of gifts, the visitor when ill, the crutch when walking, the organiser of funerals. She was in every sense a true friend, but the story of how Ellen preserved the Brontë legacy after their deaths, sometimes against the odds and against the express wishes of others, is just as important, and we’ll take a look at it in next weeks Anne Brontë blog. Just What Did Anne Bronte Sound Like?